1845 Foundation of a yarn and cotton fabric printing mill in a farmhouse in Strengelbach, Switzerland. 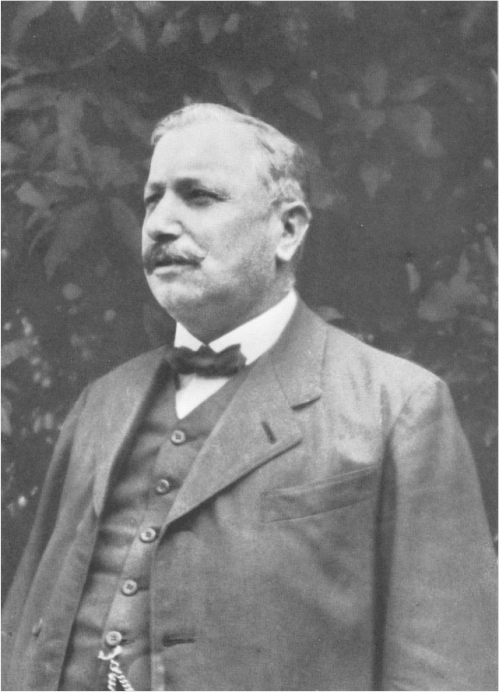 In 1870, Johann Müller-Wullschleger takes over the business of his brother. At this time, foremost manual weaving is practiced in the lower Wiggertal. 1883 Johann Müller-Wullschleger passes away. His widow continues to run the small business, after 1887 together with her son Johann Paul Müller (who will be the founder of the modern dyeing and knitting mill). He will later affiliate a yarn bleaching and dyeing mill to the cotton fabric printing mill. The printing mill will be closed in the 1920s due to the crisis in the manual weaving business. 1892 Relocation of the business 300 meters southward to its current location, near which source is located. This source is crucial for satisfying the high water needs of the newly affiliated dye house. The dyeing factory can be expanded thanks to the increasing mechanization of the weaving industry which in turn is responsible for a continuously increasing demand for highly colored cotton. 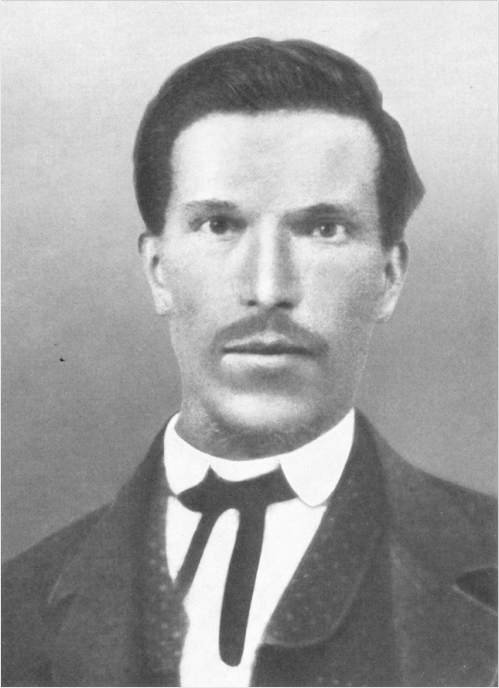 In 1892, Johann Paul Müller marries Marie Kunz who had been born in the U.S. and returned to the village of her parents. In the following years, she gives birth to a total of 11 children. 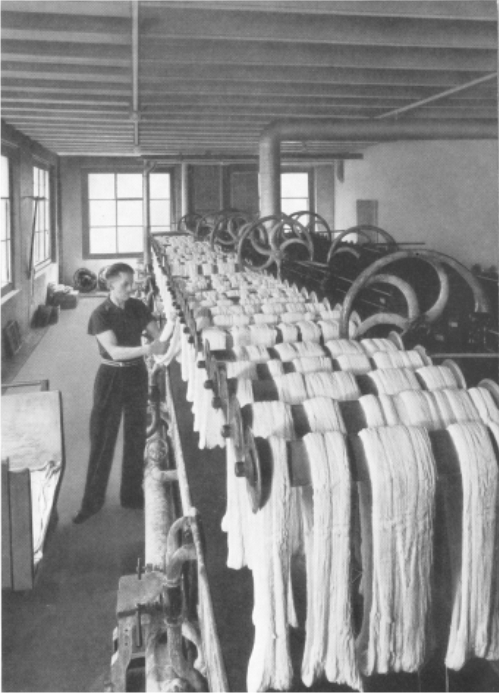 1899 Conversion of the yarn dyeing process from manual operation to machine dyeing. At this moment, the company employs 40 staff members. Acquisition of the first steam engine, one of the first mercerising machines and the first bleaching system. There are already specialties such as indigo blue, Turkish red, aniline black and oxidation diamond black. Such specifically finished textiles as well as mercerized cotton yarns are exported to British India, South-east Asia, the Philippines and Turkey. 1917 Incorporation of a knitting plant as well as a manufacture of ready-made clothing. 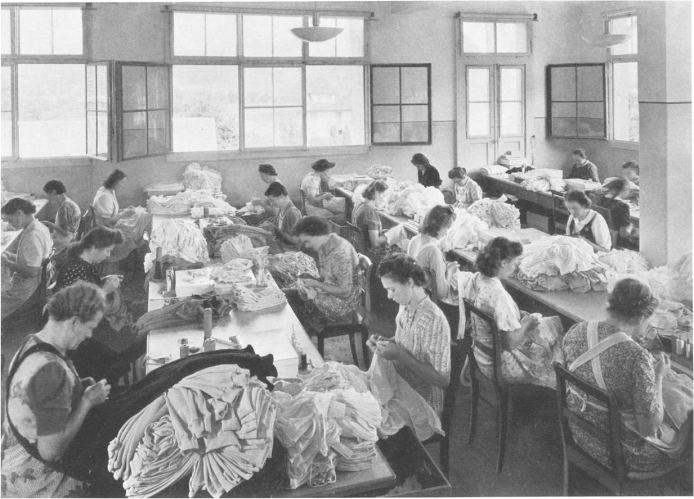 Setting up of a clothes production under the brand name Streba.The outbreak of the 1st World War has crippled exports. After the war, the export connections can’t be readopted, since in the former marketing areas the local people have established their own respective industries. 1927 After long years of extremely high commitment to the family business, Johann Paul Müller reduces his acitivity in the business for health reasons and transfers the management of the company on his six sons. It follows a transformation into a family company under the name “Johann Müller Aktiengesellschaft – Färberei und Strickerei”, where all 11 children are involved. The company occupies 310 employees at this time. 1939 Because of staff shortages following the outbreak of World War II and the steadily growing business, a branch operation opens 1939 in Wohlen. Here in the center of the straw industry, enough manpower for the further expansion of the knitting, hosiery and confection can be found. 1945 100-year anniversary of the business that occupies 540 people at this time. The management of the company lies in the hands of the five sons Paul (commercial manager), Werner (technical director), Willi (Head knitting), Eugene (Sales Manager knitting) and Walter (Head of dyeing). 1950 A more extensive exhaust gas cleaning equipment for the boiler house is put into operation. By that, not only the pollutant emissions are reduced drastically since 1950, but also heat energy is recovered. The sulfur dioxide emissions causing acid rain can be reduced to 1 / 100 of the legal limit in Switzerland. 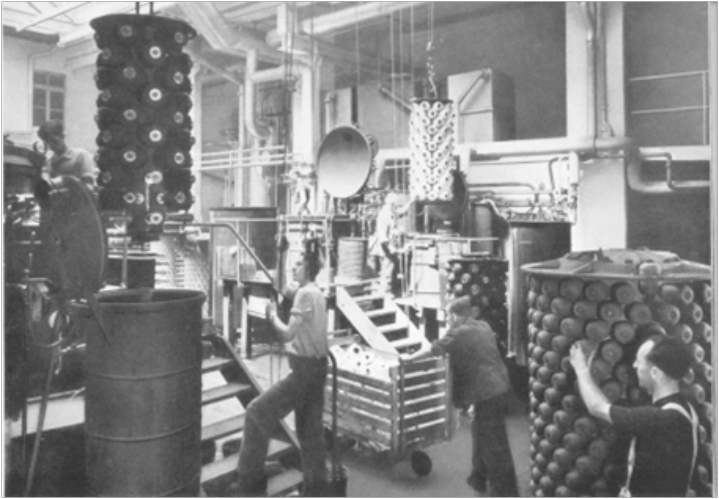 1968 The branch operation in Wohlen AG with the knitting brand Streba is cleaved off and taken over by Willi Müller.Johann Müller AG, dyeing and finishing facilities, in Strengelbach is taken over by Dr. Kurt and Werner Müller, the sons of Werner Müller sen. By that, the fourth generation enters the Board of the company.Entering of Werner Müller jun., Dipl. Mechanical Engineering. ETH, into the management of Johann Müller AG (Finance and Technology). 1975 Entering of Kurt Müller, Dr. sc. ETH, into the management of Johann Müller AG (research and development, production, sales and human resources). 1978 Johann Müller AG developes and installes the first double-band nozzle shrinking dryer with which knitted fabrics can be low shrinkage finished without chemical additives. This type of machine is now regarded as a standard machine worldwide and is in use thousands of times. Jersey and woven fabric finishing company Dr. Jacob Cunz (Textilveredlung SUN AG) Bürglen; integration in Strengelbach (1979). Dyeing plant of the sewing thread producer Rolf Bally AG & Co. in Basle and integration in Strengelbach (1984). Production facilities and real estate of the yarn dyeing company Heer & Co. AG, Oberuzwil (1987); further operation until integration in Strengelbach (2000). Yarn finishing company Johann Schärer’s Söhne AG in Anglikon; integration in Strengelbach (1989). Production operation of the bobbin and embroidery thread producer Höhener & Co. AG in Gais; integration into the operation in Oberuzwil (1989). 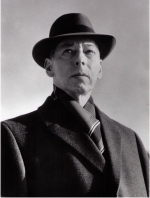 1990 After a fullfilled and laborious life, Werner Müller Sr. passes away. 1991 Werner Müller Jr. leaves the company; the entire share package is acquired by Dr. Kurt Müller. Jersey finishing business Helmut Scholl AG, Birrwil (1991), operation is continued in Birrwil until integration in Strengelbach in 1993. Yarn and jersey finishing business Färberei AG Zofingen (1992); operation continued until integration in Strengelbach1994. Yarn dyeing plant of the company Gugelmann AG in Roggwil (subsidiary company of Färberei AG Zofingen) (1992); operation continued in Roggwil until integration in Strengelbach (1997). Jersey finishing company Terlinden – Textilveredlung AG in Küsnacht, integration in Strengelbach (1999). 1992 The textile finishing group has production sites at the 5 locations Strengelbach, Oberuzwil, Birrwil, Zofingen and Roggwil and finishes with 300 employees yarns and jersey fabrics.Johann Müller AG develops the first shrinkage stenter frame, patented in 1995 and put into operation in 1996. With this combination machine, both woven and jersey fabrics can be low shrinkage finished wide or tubular in a single operation without chemical additives. 1993 As the world’s first textile finishing company, Johann Müller AG is certified according to Oeko-Tex® Standard 100. 2000 As the first jersey-dyeing company world-wide, Johann Müller AG receives the Oeko-Tex® Standard 1000 certificate. 2001 The generation of thermal energy is changed from oil to the renewable energy source bone grease. For this pioneering work, in August 2002, Johann Müller AG receives the Organic Textile Award in the category of textile production, in October 2002 the Swiss Solarpreis. 2002 With Markus Müller, Dr. sc. techn. ETH, son of Dr. Kurt Müller, the 5th generation enters Johann Müller AG. 2006 Together with the spinning mill Hermann Bühler AG, Johann Müller AG brings a new cotton with a stronger dyestuff affinity on the cotton market, which increases the flexibility of the textile value chain and thus reduces delivery times to a fraction. The product is named SwissCotton Rainbow. 2008 Also with the spinning mill Hermann Bühler AG, a cotton yarn is presented that, due to its water-repelling property, allows for the manufacturing of moisture transporting textiles based on 100% natural materials. The product is named SwissCotton BeDry.